The Wanton Trout is a solid, stone two-storey tavern in a port known for endurance against all comers. It's owner, a soldier turned bard and pacifist made it famous by his verses etched in it's windows as a customer. While the port is cold, foggy and grim, The Wanton Trout keeps up a warm welcome on the corner of the crossroads leading to the main marketplace. The stonework exterior is dappled grey and russet blocks. Corners and lintels are black granite. The roof is green-grey slate and the whole structure exudes permanence. The sign is a study in suggestion. A pair of slim, pale hands tickling a fat brown trout encircled by "The Wanton Trout" in gilded runes. An aroma of cooked oats, peat, pine, wax and grain alcohol teases passersby from green-stained oak shutters and south-facing double doors. A stable suitable for twelve steeds flanks the tavern to the north. The interior is cream plaster walls, etched with viridian vines bearing pink grapes. The main lounge is cruciform with a great hearth of wrought iron and granite blazes with burning peat and popping pine cones in the eastern arm. Iron pots and skillets are tended by sweating youths as oaken tables and benches groan under clientele and wares. The corners are separated by granite pillars and woven wool drapes in elaborate checks. Beyond these are more seats and the windows. Around each window, the plaster is black with crabbed script, pored over by minstrel and scholar. The northern arm is dominated by a staircase befitting a noble's hall, leading to a balcony. On one side are six booths for private meetings. On the other, a dozen doors lead to cosy rooms with shuttered windows with more writing etched into the plaster. Patrons must carry their own ale, a trial for the hanger-on with many friends or drink-worn. Food is brought on request by the youths at the hearth who expect some compensation. The western arm houses the L-shaped bar and stairs to the cellar. A trio of barmaids hold court, dispensing ale and cheer. Woe betide the over-amorous, these ladies are ready wits skilled in deflating oratory and more physical advances. A shout will bring two brawny cellarmen armed with shillelaghs to their aid. Wooden racks behind the bar hold clay jugs of sealed spirit and ornate pewter tankards inscribed with fanciful decorations. In the long spring and brief summer, a warm russet ale is sold for a copper quartet. In autumn, a toffee-coloured ale with hints of peat and caramel is sold instead until spring. In winter, a superior black porter ale is sold for five copper. 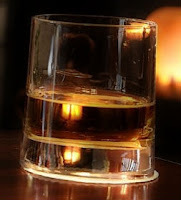 Throughout the year, whisky is sold in 'thistles' for two silver. These tumblers narrow at the top. Water is served with the whisky to taste, most locals add a little water. Fortified blackberry wine, cloyingly sweet is sold by the jug for 1 gold. Food is sold at the hearth. Salted porridge for a copper, sweetened with honey and hazelnuts for another copper. Haggis, dark bread and roast turnip is sold for three silver. Luxury is found in trout baked in butter and herbs for five silver. A bald-shaven, bucolic fellow, Kriell O'The Dale is a former leader of the watch. His twin talents for diplomacy and brawling make him a natural landlord. The youths that cook, cellarmen, stable boys and maids defer to him. The same is less true of the three barmaids. Eilen, Mora and Shiel who nettle him constantly. Staff are fiercely loyalty to each other, for every blue moon, the owner shows up incognito. This poet, orator and drinker known to nine worlds demands a room, whiskey and trout. He and Kriell discuss business in private, sometime coin is exchanged. The rooms are kept clean by three maids. Clad in simple dark livery, they are acolytes of a local temple, sworn to chastity. The rooms upstairs provide private accommodation for the princely sum of 4 gold a night. The common corners provide a frugal experience for a mere five silver. The rooms upstairs are good quality and limited availability, 1d12 are already booked. Their windowsills are darkened by more verse on the virtues of love, sleep and warmth. Each has a simple feather bed and covered chamberpot. Scholars may try to bribe or persuade guests to let them in to study the verses. Women travellers are told to raise the alarum if disturbed more than once. Men are told to resolve the issue informally. More considerate scholars club together to hire a room, studying the verses until the morning. Their muttering in meter may alarm nervous guests. An influx of trade on holy days and rooms smelling of incense suggests some muttering is incantatory. There's been no trouble yet. The maids are vigilant for chalk circles.